After doing a mid-week food shop yesterday evening (Tues 23/5), I visited the North Dock dunes (Llanelli) as the grey, sullen conditions seemed good for `dusking`. A couple of weeks` ago, I`d had a really good early evening dusking session (at Pwll) in warm, quiet conditions and I was hoping for the same last night. However, in retrospect, yesterday evening there was a slight breeze and it was n`t as warm as on the previous occasion. Few moths were seen - just some `usuals` such as Elachista argentella that I`d had there before. There was one little surprise though - a plume. Out of the corner of my eye, I seen a plume and for a second or so assumed that it was Marasmarcha lunaedactyla (crescent plume), a restharrow feeder that is frequent at this locality. 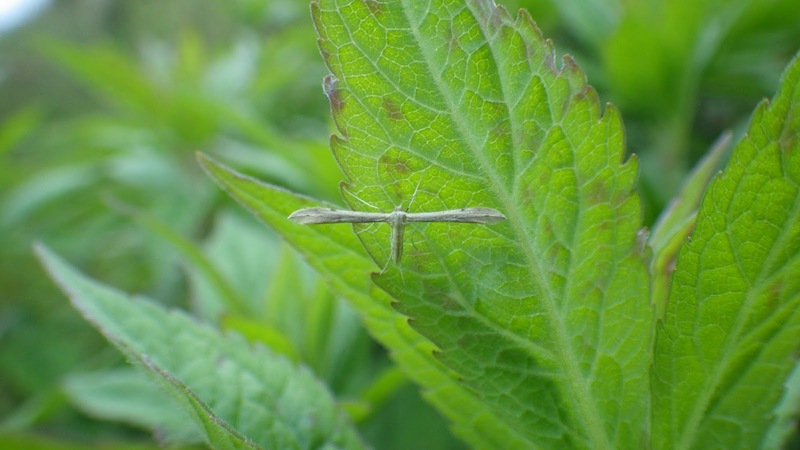 But then I noticed that (amongst other things) it was small and was fluttering around a clump of hemp agrimony - it was Adaina microdactyla (hemp agrimony plume), a local species normally associated with wetter places rather than dry dunes. 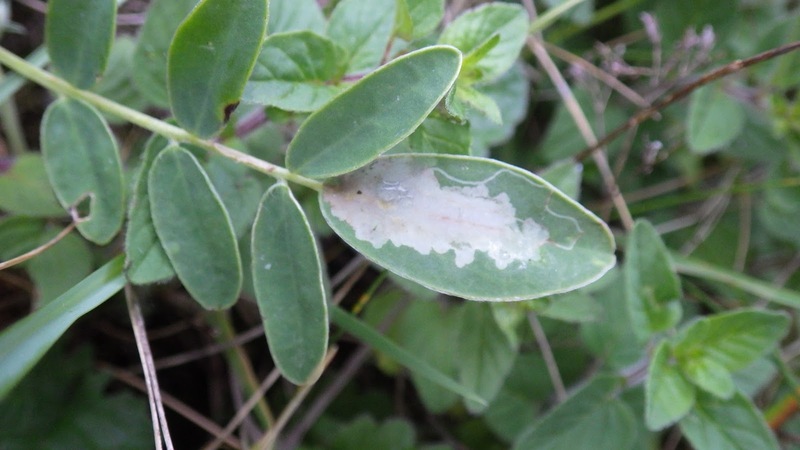 I also saw this leaf mine on kidney vetch (see below: not collected) - I considered Aproaerema anthyillidea but I`m not at all sure. My home traps were also a bit of a disappointment last night too, though there were several additional species (including more FFYs) that were not recorded on Monday night. Pretty sure that's a fly mine Ian. Thanks George. I had my doubts myself, hence my comment.